Kingdom Hearts 3 finally released last week and many fans wondered how it would be to play this long awaited game. A game like this can be hard to review, many factors go into coming up with a score for a game that is a sequel to such a beloved game back on the PlayStation 2. I can say that Kingdom Hearts 3 was well worth the wait. It is not a perfect game, but I believe it is the best in the series. There is a lot to like about Kingdom Hearts 3, but my favorite is the scale of each Disney world. Gone are the short, fragmented areas of the past games. Each Disney world, besides 100-Acre Wood, is much bigger than the ones in previous games. Previously players had to traverse smaller areas broken up into several load screens. There are still load screens, but now each world is only separated into about three different "zones" with each zone having several areas to explore. 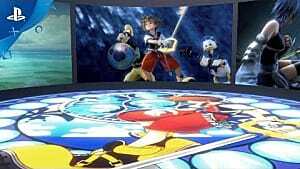 You can actually get lost and miss a lot of things, which is great for a Kingdom Hearts game. It's clear that a lot of time went into crafting each world. Not only are they large, but each one has its own game play style. 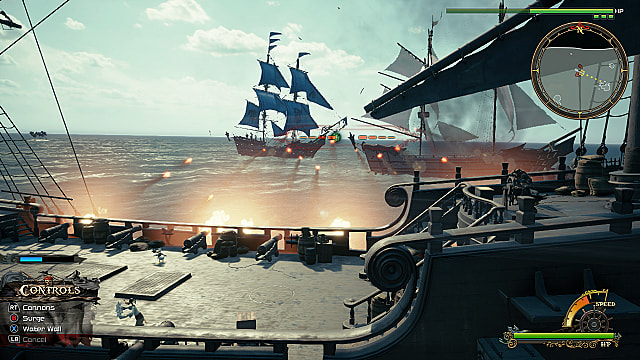 The Carribbean, my favorite world, lets you explore the open seas on a pirate ship, have ship battles, level up the ship to make it stronger, and dive underwater for even more exploration. The Toybox, aka Toy Story, has toy robots you can defeat and control on your own. There are different types of robots you can use and each has a unique ability. The visuals of these worlds are outstanding as well, especially if you have an Xbox One X or PS4 Pro to play in 4K. Since they switched to the Unreal Engine for this game, you can notice how clear and beautiful the effects are for KH3. Water in particular look absolutely gorgeous. I won't spoil everything here, but there are plenty of mini-games or surprises awaiting in each world as well. The game keeps you busy. 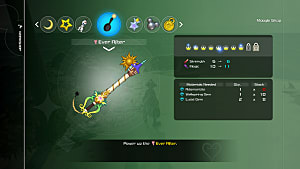 Keyblades have always been a huge part of the game, especially seeing which new ones you can get throughout your playthrough. 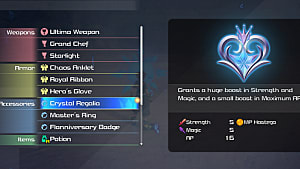 In previous installments, Keyblades have always had set stats that could not be upgraded. They also had one special ability, but nothing else that made them special besides the way they looked. KH3 takes it up a notch by letting you upgrade each one to become stronger throughout the game. Each one also has its own abilities and Formchanges that alter the combat. There may not be as many, but each Keyblade is so much more than they have been in the past. Quality over quantity, as they say. This was one of the features that surprised me the most and become a big part of my enjoyment. Gummi Ships have always just been a way to get from one world to the next. 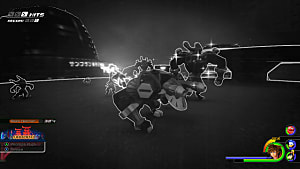 The action was much better in Kingdom Hearts 2 than the first game, but it was still simply a rail shooter with no freedom. 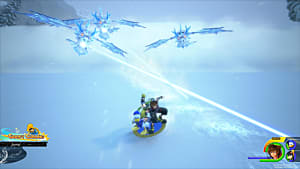 Gummi Ship features have improved over the series, but Kingdom Hearts 3 takes it to an other level. You can now fully explore three space areas with complete freedom. You can choose which direction to go, which planet to visit, unlock treasures, upgrades and new ships, complete space battles, and the list goes on. The important thing to note is that there is a lot you can do with the Gummi Ship in this game and it is much more fun than it has ever been. It's far less static and there are plenty of surprises in store for aspiring pilots. One of my only complaints is the game was very easy compared to previous games. I played on Proud, the highest difficulty, and never died one time. Sure there were a few scary moments when I thought I might meet my first death, but I was easily able to overcome them. In previous games I actually would have a challenge when going through the game on Proud Mode and had to carefully plan for some boss fights. 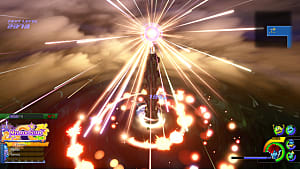 There was also a harder difficulty, called Critical Mode, that KH3 does not have. I won't spoil it, but there's a secret boss you can fight after finishing the game. It was definitely the hardest fight in the game, but even that wasn't too bad when compared to previous games. My main issue is that it's not just easy, but you don't have to do much planning or strategy to win fights. Each fight is a spectacle for sure and it is still 10/10 fun, but I miss fights like Sephiroth from KH2. That fight was a real challenge that involved a lot of planning, timing, and execution to win. Most importantly, it was satisfying winning. 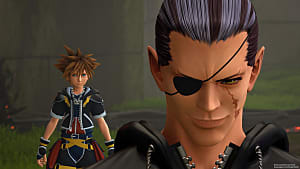 There weren't really any fights that gave me that level of satisfaction in Kingdom Hearts 3. I stand by how amazing each Disney World is, but there was a surprising lack of the original worlds fans grew accustomed to seeing in each installment. This game holds a lot of nostalgia and call backs to previous games, so it was a shame to not see worlds like Traverse Town and Radiant Garden. Newcomers to the series probably won't mind, but as a long-time fan I really wish I could have gone to Traverse Town or at least Radiant Garden. Traverse Town was the first Town you visited in the original Kingdom Hearts and had multiple districts you could visit. It was also the temporary home of Final Fantasy characters that played a role in the story. Radiant Garden/Hollow Bastion was a very important world in multiple games. There was a lot to discover when visiting this world, more Final Fantasy characters inhabited it, and it was a central part of the story. It was also the location of my favorite Sephiroth fight in the series. The fact that you don't visit Radiant Garden, even briefly, is baffling. This is even more frustrating since Twilight Town is in the game, even if it is small compared to how it was in Kingdom Hearts 2. Everyone knows Kingdom Hearts is a complex and often confusing story, but it doesn't end with this game. This one isn't so much a negative as it is an anticipation. It was already said that KH3 would not be the final game and it would only be the end of the current saga. The story itself was great and had many emotional moments. Most things were cleared up, but there are still some big questions left unanswered, particularity after viewing the epilogue and secret movie. Kingdom Hearts 3 is an incredible experience that fans and newcomers alike will enjoy. Even if new players don't understand everything that is going on, they will enjoy the game. 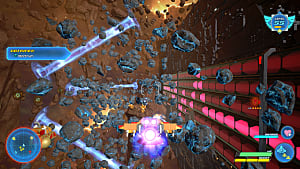 The new Gummi Ship system, intense combat, and varied gameplay of each world makes this an instant classic. 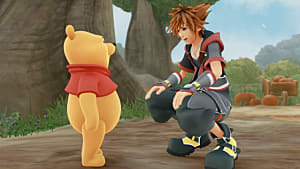 Anyone who is even remotely interested in Kingdom Hearts 3 will not regret picking it up. Kingdom Hearts 3 delivers an amazingly fun and intense experience in a long-awaited title that lives up to the hype.